TD Waterhouse is UK's leading execution-only share dealing provider, servicing more than 200,000 customers with over £3.77 billion in customer assets (stock and cash) under management. They wanted an automated phone service that could handle peaks in volume, be cost effective in quieter times and maintain high customer service standards. TD Waterhouse services 19 million customers providing UK investors with execution-only share dealing and investment services online, over the phone and through its investor centre in London. 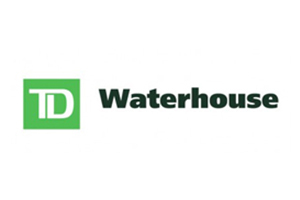 When calls to the TD Waterhouse real-time share price service boomed, it coincided with TD Waterhouse taking responsibility for thousands of customers, providing white label services to two leading banks. TD Waterhouse was faced with a choice; to continue taking on more staff with their associated overheads and training requirements, or to find a rapidly deployable technological solution. In either case, the service would have to handle peaks in volume, be cost effective in quieter times and maintain high customer service standards. So while an automated solution seemed appropriate, it had to be one that customers would feel confident, at ease with and use again. TD Waterhouse chose a hosted Advanced Speech Recognition (ASR) service, which could be quickly implemented to provide an automated real-time share price service. The service used Eckoh's hosted call processing platform to intercept and manage calls to the TD Waterhouse contact centre in Leeds. Stock prices are received over a secure VPN from a third party information provider. Darren Hepwoth, Vice President, Customer Contact Centre, says: "We did not want to compromise the customer service experience under any circumstances, because that would have inevitably backfired. With Eckoh we had a cost effective quality solution in a very short lead time." The service provided share prices for over 1,700 companies. The service dialogue uses advanced speech recognition to distinguish between similar sounding stocks such as BT and BP. Although the service is bespoke, the entire infrastucture was already in place which meant delivery was significantly faster than an in-house solution, and the pay-as-you-go pricing structure eliminated capital risk. The service was delivered in less than four weeks. Callers had immediate access to stock prices, without speaking to a representative. When they wanted to deal, they get through quickly as representatives were available to concentrate on those calls that generated revenue for the company. The service allowed representatives to focus on customers' more complex revenue generating requirements - as well as enabling tighter control of its contact centre operational costs. "The accuracy of the voice recognition is so good that clients find the service seamless and very accessible. Although they can transfer at any time to a representative, this virtually never happens. Darren Hepwith said. I use the service myself and have never known speech recognition to work this effectively. Even if you access the service during a conference call - with the inevitable interference - the recognition is excellent." The speech enabled stock quote service did expand to incorporate an additional 10 branded products, including stock quote services for TD Waterhouse's corporate clients and a 'find my register' service on all quoted stocks. "The usage and demand on the automated stock quote line has exceeded all expectations. The number of automated quotes has doubled since the launch with consistent daily growth. The platform's scalability is exactly what we need. When the stock market is going crazy - that's when the pressure is on. We have the confidence and the evidence that the service will stand up to such heavy demand."